Denise & Justin at Heritage Golf Club! 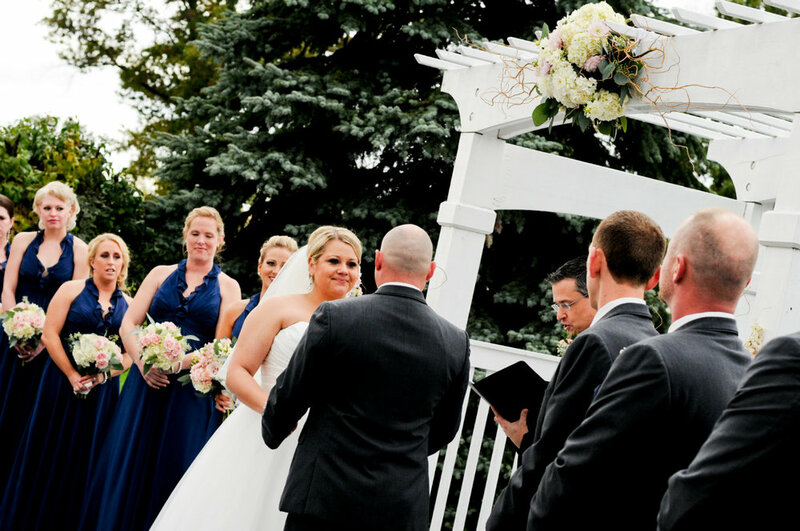 A Columbus, Ohio wedding for Denise and Justin at Heritage Golf Club! I was privileged to be their officiant that day and Heritage, which is located in Hilliard specifically, is an amazing location to tie the knot and become husband and wife. It is outstandingly beautiful, and Jody Unger, Sales & Catering Director, is always so wonderful with brides, grooms, family and friends. Jody does an incredible job all the time. She is a lady who truly cares. In this photo below, Denise and Justin beam with joy as their special day has arrived! Beaming with Joy! Denise and Justin at Heritage Golf Club, wedding venue, in Greater Columbus, Ohio Next, Justin peers into the distance. He appears to be deep in thought, perhaps warmly reflecting on his future with his lovely bride, with the grandeur of the sky above him. So many possibilities await for their lives ahead! A man considers his future and knows the one he wants to spend his life with. 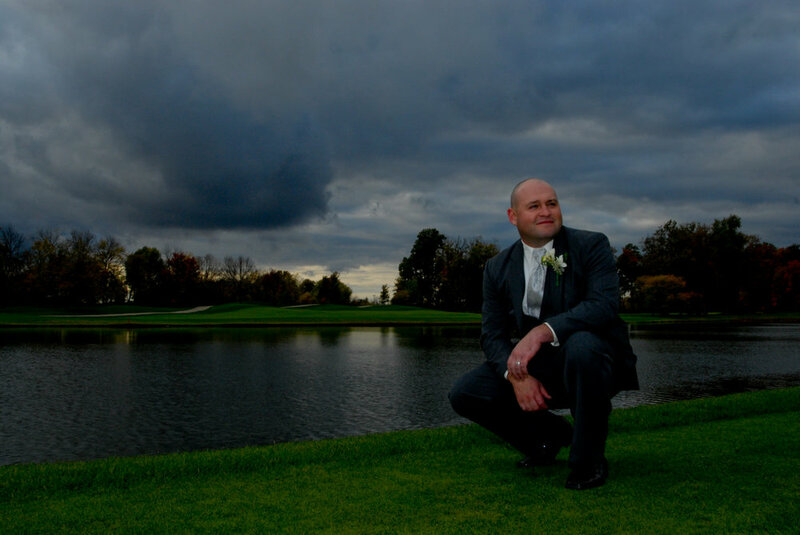 Groom, Justin, at Heritage Golf Club in Hilliard, Ohio.Here is a happy and fun moment during their ceremony. There was a lot of joy, smiles, and laughter at this occasion. I always try to make sure that brides and grooms are able to experience and savor their precious moments together. The ceremony should not be overlooked or slighted. Wedding officiant, Damian King, in Columbus, Ohio, as bride and groom, Denise & Justin, celebrate their life together.A rich and meaningful moment as Denise and Justin take another step toward a lifetime of love! The richness of marriage as husband and wife pledge their love forever. 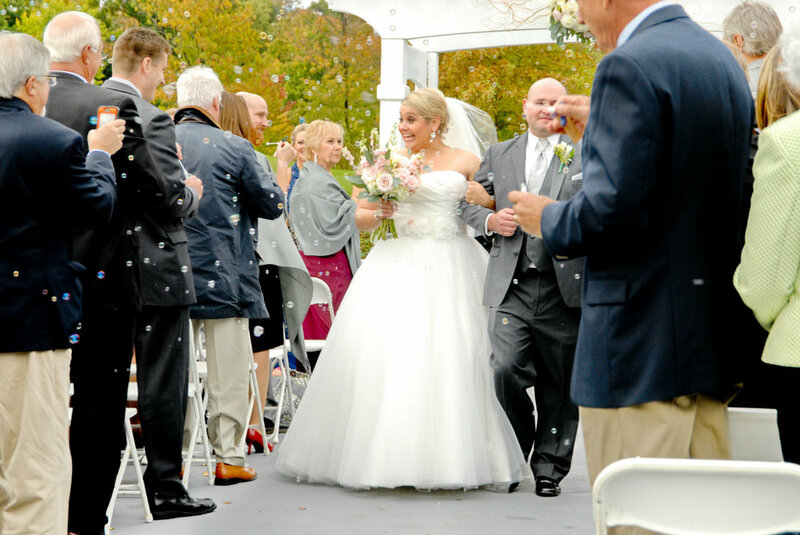 Wedding venue, Heritage Golf Club, Columbus, Ohio.Now husband and wife, this happy bride and groom walk down the aisle and are greeted with love and well-wishes from a host of family members and friends. What a day! Their future filled with possibilities, love, and adventure and growth together is now unfolding. Bride and groom, now husband and wife, walk those sacred steps down the aisle as guests witness their joy!All photos are courtesy of Open Prism Photography and the artistic work of Rebekah King and April King. Visit their website by selecting the link provided. You can also reach them by calling 614-653-9082 or emailing openprismphotography@gmail.com. Thanks for visiting our website! Helping to join brides and grooms in marriage and serving them as their wedding officiant is a true privilege that we greatly enjoy! Older PostVia Vecchia Winery; Wedding Venue in Columbus!